Welcome to the Review’s List page. 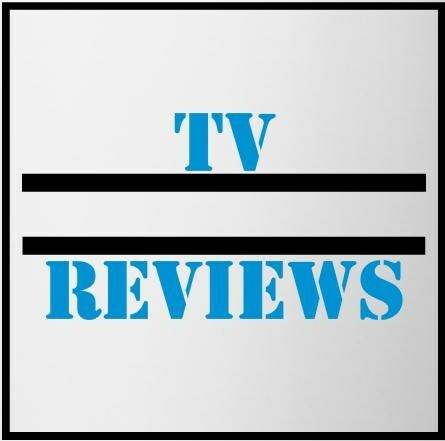 This page links you to every Movie and TV series that has been reviewed by Views from the Sofa since it began! They are in alphabetical order and you can click any link to take you straight to the review! Enjoy! 10 Clovefield Lane (2016) – 5! 12 Angry Men (1957) – 5! American Beauty (1999) – 5! Avengers Assemble (2012) – 5! Avengers: Infinity War (2018) – 5! Back to the Future (1985) – 5! Batman: Year One (2011) – 5! The Blair Witch Project (1999) – 5! The Cabin in the Woods (2011) – 5! Captain America: Civil War (2016) – 5! Capturing the Friedmans (2003) – 5! Con Air (1997) – 5! The Dark Knight (2008) – 5! The Dark Knight Returns: Part 2 (2013) – 5! The Dark Knight Rises (2012) – 5! Fight Club (1999) – 5! Finding Nemo (2003) – 5! Get Out (2017) – 5! The Godfather (1972) – 5! The Graduate (1967) – 5! Green Book (2018) – 5! Home Alone (1990) – 5! How to Train your Dragon (2010) – 5! The Imposter (2012) – 5! The Incredibles (2004) – 5! Independence Day (1996) – 5! Indiana Jones and the Last Crusade (1989) – 5! Inside Out (2015) – 5! The Jungle Book (2016) – 5! Jurassic Park (1993) – 5! Kingsman: The Secret Service (2015) – 5! Lady Bird (2017) – 5! Life is Beautiful (1997) – 5! The Lion King (1994) – 5! Lock, Stock and Two Smoking Barrels (1998) – 5! The Martian (2015) – 5! Mission: Impossible (1996) – 5! The Muppet Christmas Carol (1992) – 5! A Quiet Place (2018) – 5! Raiders of the Lost Ark (1981) – 5! Rain Man (1989) – 5! Ready Player One (2018) – 5! The Revenant (2016) – 5! Saving Private Ryan (1998) – 5! The Silence of the Lambs (1991) – 5! Sin City (2005) – 5! The Sixth Sense (1999) – 5! Spider-Man Homecoming (2017) – 5! Spider-Man: Into the Spider-Verse (2018) – 5! Stand By Me (1986) – 5! Star Trek (2009) – 5! Still Alice (2015) – 5! They Shall Not Grow Old (2018) – 5! Three Billboards Outside Ebbing Missouri (2017) – 5! Toy Story (1995) – 5! Toy Story 3 (2010) – 5! Train to Busan (2016) – 5! Band of Brothers (Mini-Series) – 5! Bob’s Burgers (Season 1) – 5! Bob’s Burgers (season 2) – 5! Bob’s Burgers (Season 3) – 5! Bob’s Burgers (Season 4) – 5! Bob’s Burgers (Season 5) – 5! Bob’s Burgers (Season 6) – 5! Breaking Bad (Season 2) – 5! Cordon (Season 1) – 5! Game of Thrones (Season 6) – 5! Modern Family (Season 3) – 5! Parks and Recreation (Season 3) – 5! Parks and Recreation (Season 4) – 5! Peep Show (Season 9) – 5! Stranger Things (Season 1) – 5!